Sony is expected to launch two flagship smartphone, namely Xperia XZ1 and XZ1 Compact at IFA 2017 event which will be held next September. A week before the launch event, leaks about the smartphone continues to emerge, ranging from specifications, photos, to the price. Our previous reports have revealed the price of Xperia XZ1 and XZ1 Compact, which smartphone has been listed on the Amazon UK site. 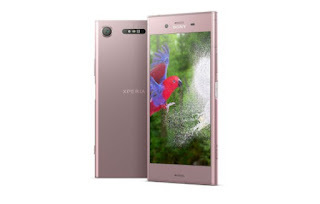 Even the web page also reveals color variants of Xperia XZ1, namely black and pink. The rendering allegedly the official rendering of the Xperia XZ1 has been leaked recently and gives us an idea of ​​the shape of Sony’s latest flagship before launch. If you notice, Xperia XZ1 still inherits Xperia XZ Premium design which slid early this year, where you can see the distinctive features of a thick bezel at the top and bottom. The most noticeable differences are the length of the front speaker hole, the frame design, and the position of the NFC chip, where the chip is placed parallel to the LED flash. Yes, you can see the NFC logo next to the LED flash. 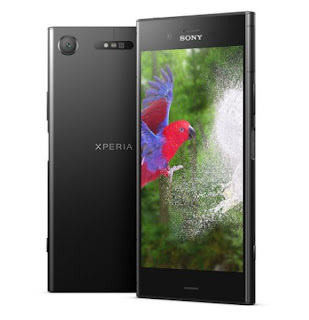 For others are still the same as Xperia XZ Premium, including the location of the power button, volume rocker, and SIM slot.